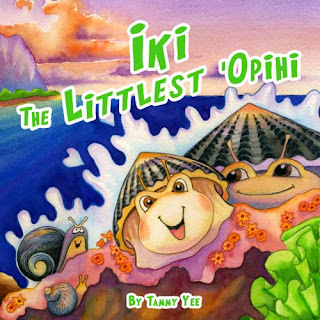 Opihi are shellfish that live clinging to rocky shores in Hawaii. But Iki, the littlest opihi, seeks adventure in the open ocean. Will he ever join the other opihi and learn to "stick to it"? 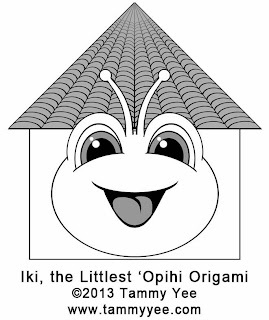 Join me in Hana, Maui for an author/artist reading of “Iki, the Littlest ʻOpihi” and keiki coloring and origami activities! 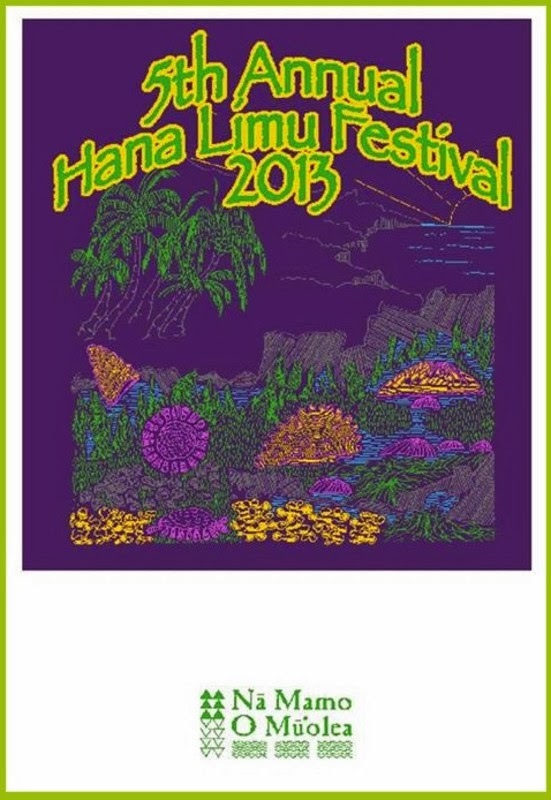 There will be food, music and entertainment, a silent auction, and fun activities for the whole family to enjoy. 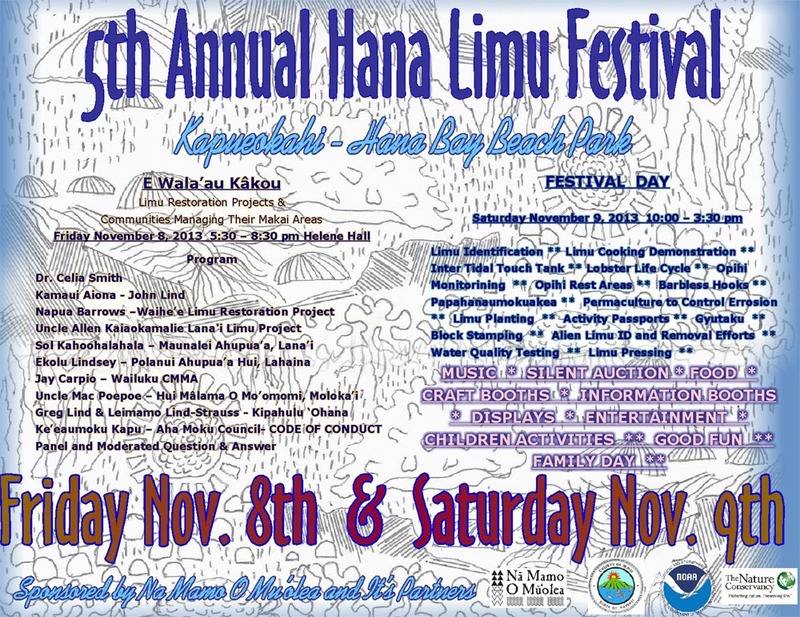 Organized by Hāna residents, the event is designed to promote a deeper understanding of native limu and to make people mindful of their role in ensuring ocean resources are here for generations to come. 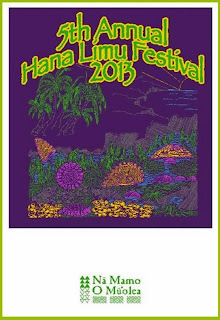 This year the festival will focus on the important role communities play in the management of marine resources in Maui Nui. 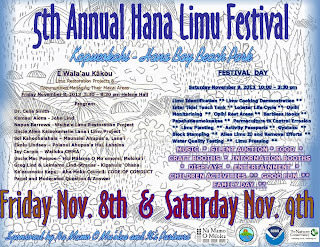 Sponsored by non-profit organization Na Mamo O Mu‘olea and its partners, the County of Maui, NOAA and the Nature Conservancy. 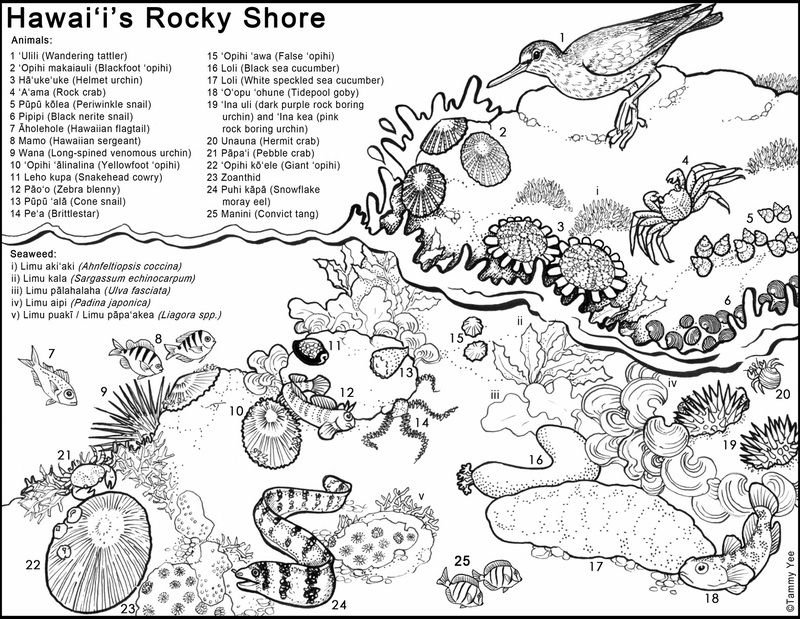 Hawaii's intertidal zone is home to a variety of plants and animals that are well suited to the push and pull of tides. When the tide is low, rocks are exposed to the hot sun. Shellfish hug the rocks to keep moisture in. Some snails even have an operculum, a "door" that closes shut to prevent them from drying out. When the tide is high, rocks are submerged and fish, mollusks and other creatures emerge from crevices and hiding spots under rocks, free to roam. Some animals even prefer the spray zone, where waves constantly pound the shore. 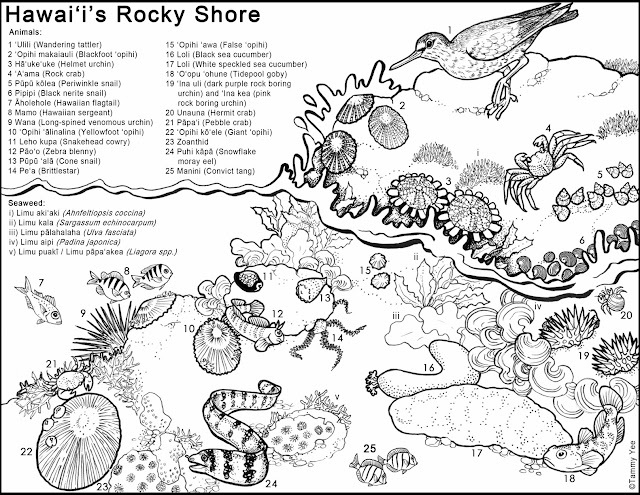 Plants and animals living in the intertidal zone must also adapt to drastic changes in temperature and the level of salt in the tide pools. Tide pools can be fun, but you must use caution when exploring. Always wear protective foot covering. Rocks can be slippery, so watch your step. Beware of animals, like urchins, that can be venomous. Avoid stepping on and destroying plants and coral. If you overturn a rock, replace it the way you found it so that the plants and animals beneath the rocks aren't exposed to sunlight and drying out. And NEVER turn your back to the waves! Always be mindful of the sea and all its creatures. Join me at the Waikiki Aquarium for Ocean Literacy Day this Saturday, Sept. 14 from 9am to noon. 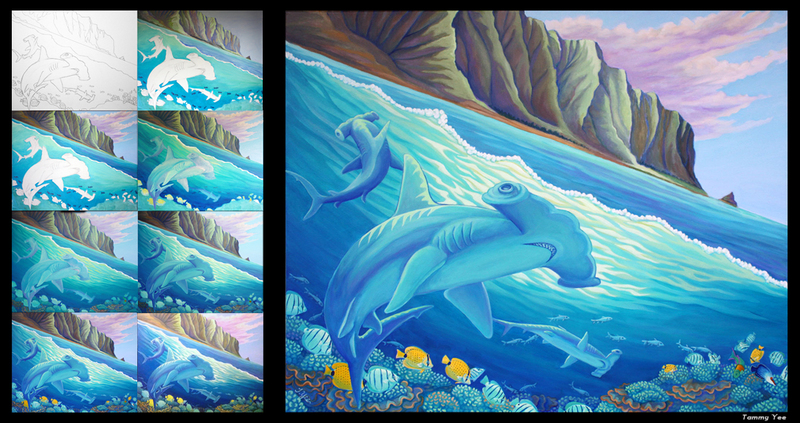 The focus will be on sharks, so I'll be displaying my hammerhead shark painting and a few other ocean-related original watercolors from my children's books...and I'll bring along some fish origami for the keiki. Fellow children's book illustrators Elizabeth Oh and Ruth Moen Cabanting will also be showing some of their paintings. 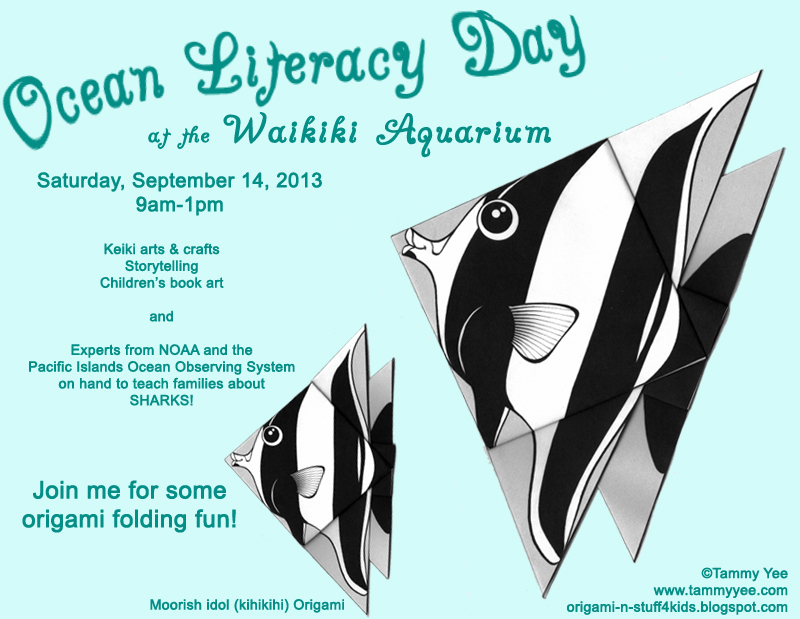 There will be keiki arts and crafts, storytelling and more as books about the ocean come to life with costumed characters. Shark experts from the National Oceanic and Atmospheric Administration (NOAA) and Pacific Islands Ocean Observing System will also be on hand to teach families about shark biology and how scientists track them during research. Sponsored in part by Aqua Hotels and Resorts and NOAA. If you care about climate change, open your mind and RETHINK what you believe you know about overgrazing and livestock methane production being the cause of desertification. Presented by Allan Savory of the Africa Centre for Holistic Management in Zimbabwe. In 2010, the Centre won the Buckminster Fuller Challenge for its work in reversing desertification. In that same year he and his wife, with others, founded the Savory Institute in Boulder, Colorado, to promote large-scale restoration of the world's grasslands.